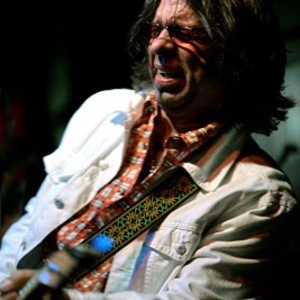 With several decades of composing & performing experience, Glenn contributes a modern approach to the ongoing legacy of American Blues, with respect to the music from the forefathers of the Blues. Soon after teaching himself to play the guitar at the age of 10, Glenn was performing and singing in different venues from schools and churches to roller rinks and learning from the older musicians around his Blues and Soul music-drenched hometown neighborhood in Kansas City, Kansas. After an early piano lesson with one of the ministers from his Southern Baptist Church, Glenn began to seek out the various Blues musicians that he heard echoing from the neighbor's turntables and in the juke joints around town. In the coming years Glenn would find himself working in the Bands of Kansas City's top Blues artists such as Chick Willis, Provine "Little" Hatch, Millage Gilbert, Leon Estelle & Annetta "Cotton Candy" Washington. These associations led Glenn To Chicago where he found work with Abb Locke, Buddy Miles, Lefty Dizz and a variety of other jobs as a singer/guitarist sideman. The next move was to Long Beach, California to spend several years with the Joe Houston Band. Since then, Glenn has been performing his own brand of Blues worldwide and has enjoyed critical acclaim for his first two releases on Shakehouse Records, Mr. Blues Jr. & Nuthin' But A Thang!. With the release of his third album, Original Blues, Glenn has given us eleven more original tunes to add to his already plump songbook.